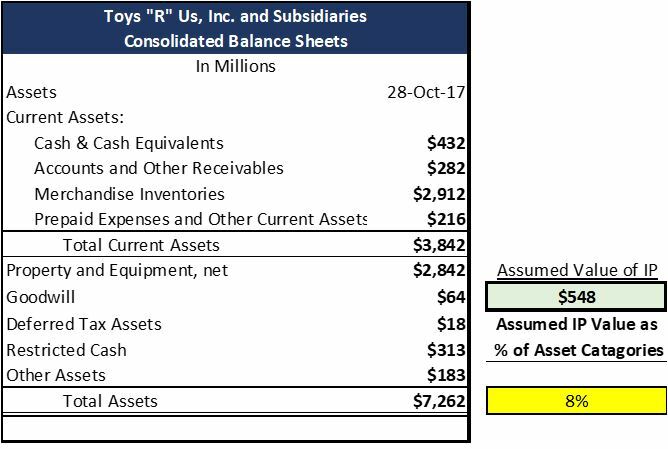 The Toys “R“ Us bankruptcy has been in the news over the last year. The company’s downfall has been well documented, and the unfortunate fate of the brand that has been ubiquitous in the toy world for several generations of kids and parents was emotional for many. Although a variety of shortcomings of the company’s long-term strategy and operations have come to light, it seems that a solid intellectual property strategy may be offering the toy retailer a small “saving grace” as its story comes to a close – or at least some hope for the company’s creditors. As part of the bankruptcy proceedings, Toys “R” Us is auctioning off much of its intellectual property (IP) to help cover its debt and legal fees. The IP in the sale includes the Toys “R” Us name, the Babies “R” Us brand, a collection of domain names, and the beloved Geoffrey the Giraffe mascot and logo. More specifically, according to an article on Entrepreneur.com, the sale of the IP is expected to cover $200 million in debt and anticipated legal fees of up to $348 million (fees which they keep accruing at an astounding rate of $1,745/hour, according to one NY Times article)– for a total of nearly $550 million. Important to note is that the IP value proxy for Toys “R” Us was determined based on a likely value to be realized at an auction. Historically, intangible assets have sold at steep discounts through the auction process, and the true value of the IP assets is presumably much greater in the hands of the buyer. It is eye opening, to say the least, seeing the relative value of these “hidden” assets for some of the world’s largest companies. Nike, for example, owns a brand that is worth over 100% of the total value of its publicly disclosed assets. Apple’s brand is reportedly worth 50% of its total asset value – and it is important to remember that the Interbrand values do not include other forms of IP, such as patents, technology, know-how, etc. which are highly valuable intangible assets for Apple. Since internally generated intangible assets are not reported in financial statements, in many cases, the public does not gain an understanding of the assets’ fair value until these assets are sold independently or as part of an M&A deal. When a company experiences financial distress and is forced to liquidate its assets to pay back creditors (see the Nortel IP auction for one of the most famous instances), often IP assets are the only assets which have value, since they can be monetized at the hands of a new buyer. Such is the case with Toys “R” Us; we did not see the true value of Geoffrey the Giraffe until it was too late.